﻿ Do raccoons wash their food? Wildlife Removal Advice - Do raccoons wash their food? Over the centuries there are many different kinds of myths that are generated related to animals and their behavior.it seems like there are numerous ideas about how animals live, and many of these result in rather wild assertions about members of the animal kingdom. One of the more unusual ones that you may have heard in your years is that raccoons will wash their food before eating it. How this came to get started is not exactly known, but for generations it has been believed that a raccoon will take its food that it has foraged and wash it before it needs whatever it is captured. If you know anything about raccoons, then you are well aware that their ability to handle objects within their front paws is quite extraordinary. They have a dexterity that is in many ways similar to that of human beings, not only allowing them to hold things, but to be able to use objects as tools as well. A raccoon is known to use rocks to break open such things as nuts and shells, and it can grasp and hold onto things much like a human being would hold things. Learn whether or not raccoons can climb fences. It is believed that out of this ability that the idea that a raccoon is washing his food developed. The fact is, however, that this is really a myth. These animals do not wash food at all, but it is there unusual abilities that have generated this belief. Because of the fact that raccoons use their front paws to be able to grasp and use tools, it has developed the idea that a raccoon will dunk its food into water, rolling it around, before it decides to eat it. This resulted in the widespread myth of the washing process before a raccoon will eat. We can answer: Do raccoons burrow or dig holes? However, this is not what the raccoon is doing it all. In fact, the behavior that the raccoon is displaying is more about its need to have a greater contact with the world around it. There are many different sensory pads within the pause of a raccoon, and it is believed that a raccoon dipping its food into water and rolling it is more a habit based upon the need to create sensory input for its front paws. What supports this belief is that a raccoon will perform this same procedure even if it is inside some kind of dry enclosure. It does not need to be near a creek or stream to perform the task, but will even do so if it is enclosed in some kind of cage. Find out if raccoons attack cats, dogs, or other pets. This has led many scientists to believe that this is just a habitual behavior related to its need to have more sensory input for its pause. 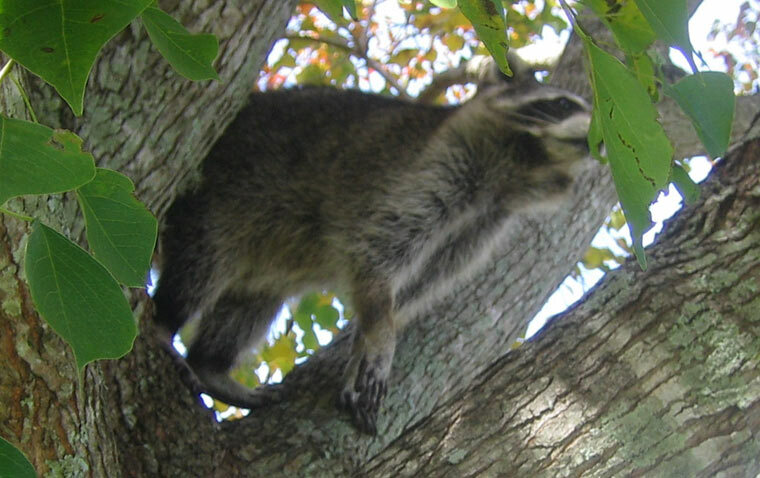 What people are seeing as washing, is simply the fact that the raccoon has captured or discovered its food near a creek or other body of water, and is simply performing the task as part of its normal ritual. So the myth is clearly not true.